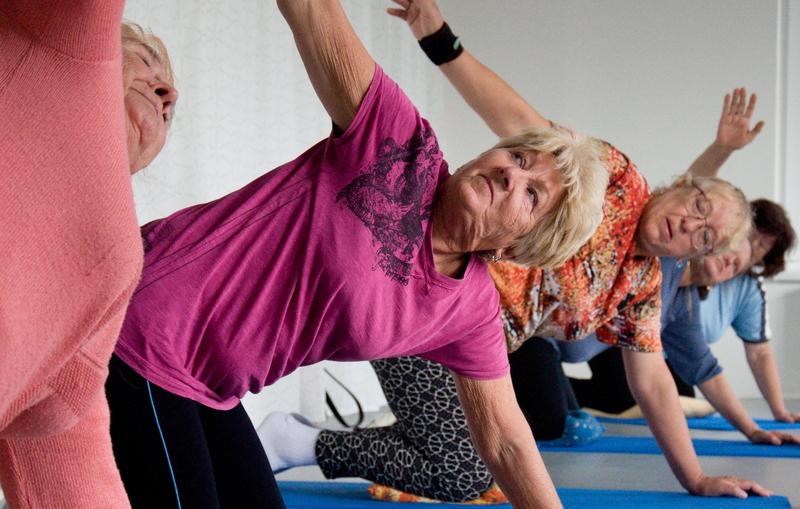 We provide regular exercising with quality yoga and mindfulness instructors. Yoga can even be practiced in a lying position in bed. 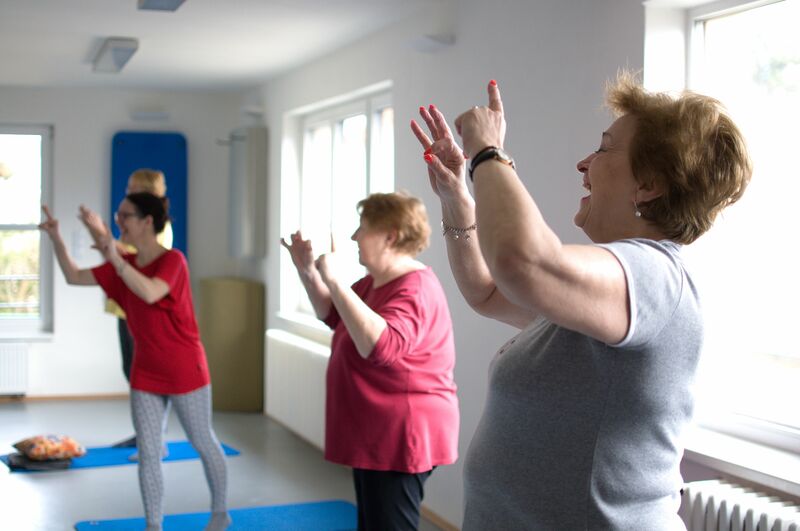 We reimburse the instructor’s costs. 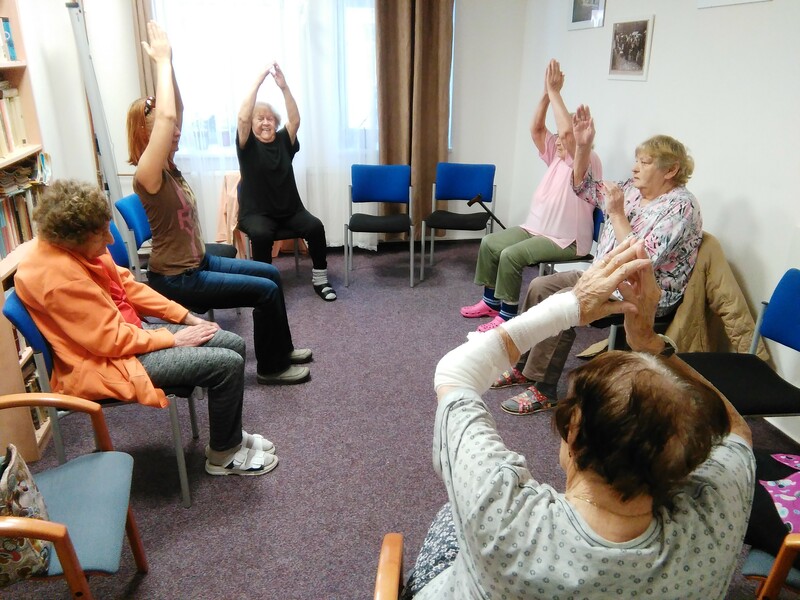 Neither the residents nor the home pay anything, as the yoga lessons are free of charge. 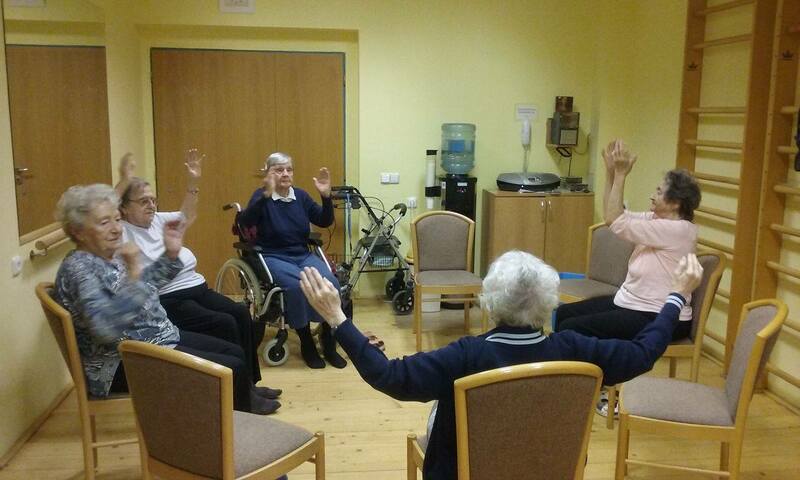 You can enable 1 elderly to practise yoga once a week. 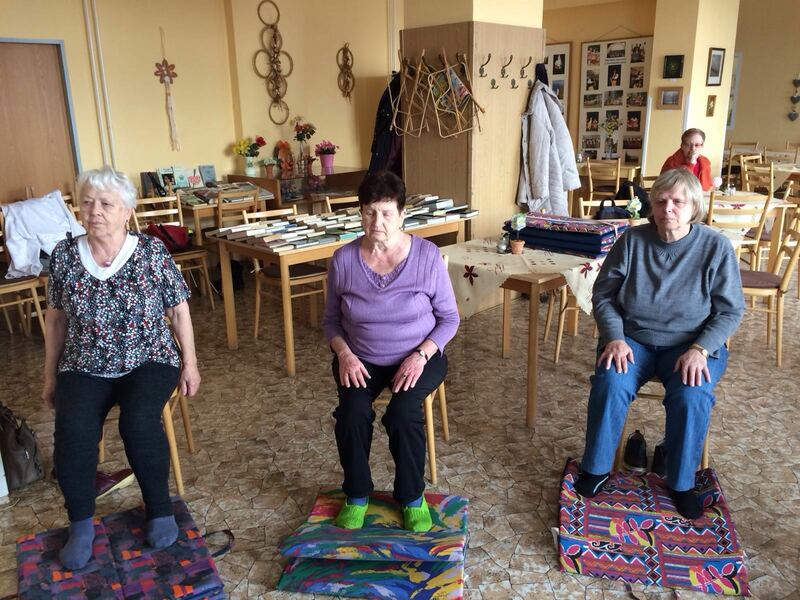 Yoga lesson for 10 elderly people. 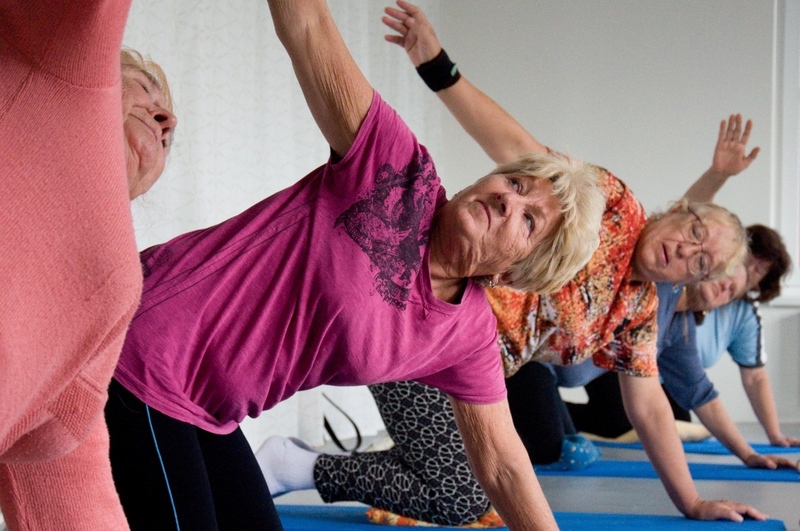 Is sufficient for yoga lessons at two homes fot the elderly. 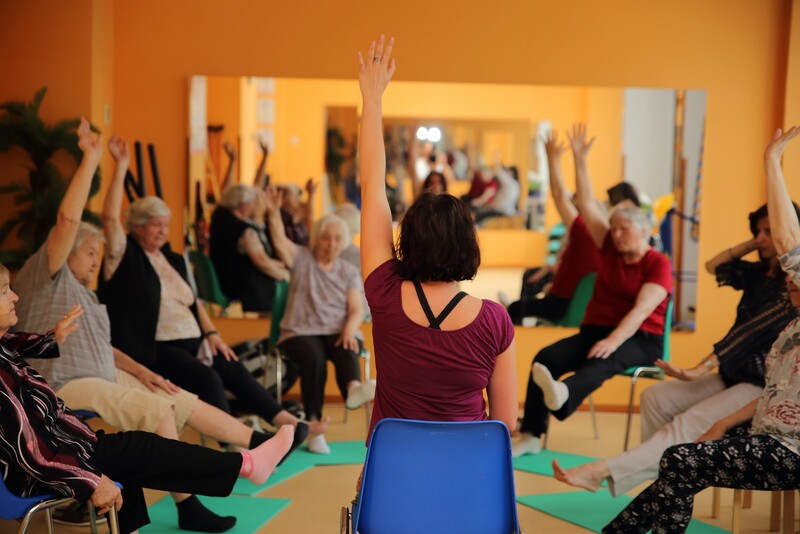 We provide regular exercising with quality yoga and mindfulness instructors. Yoga can even be practiced in a lying position in bed. 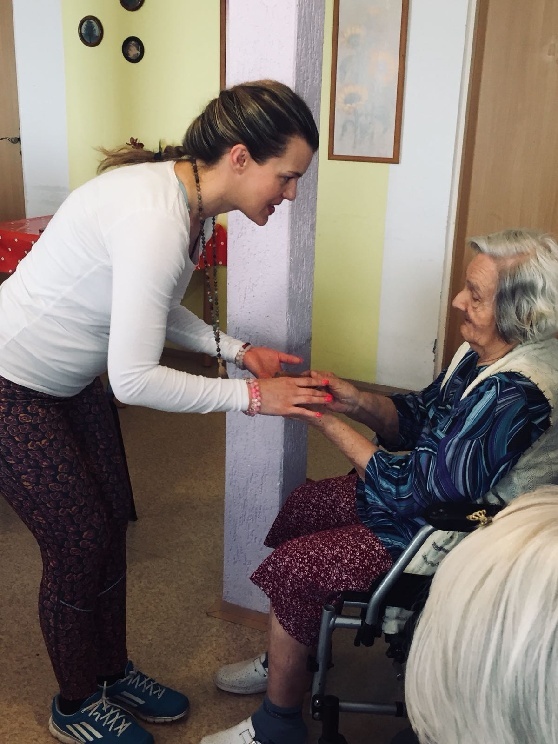 In our society, the elderly are often relegated to the periphery of events – this might be because of generational misunderstandings or health problems. 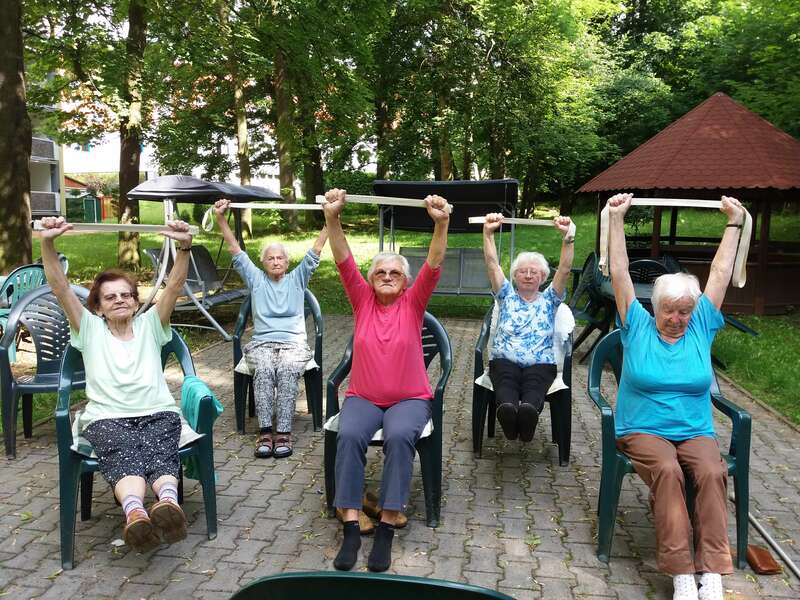 The mere idea of a specific movement activates the muscle tissue in the applicable area and improves blood circulation. 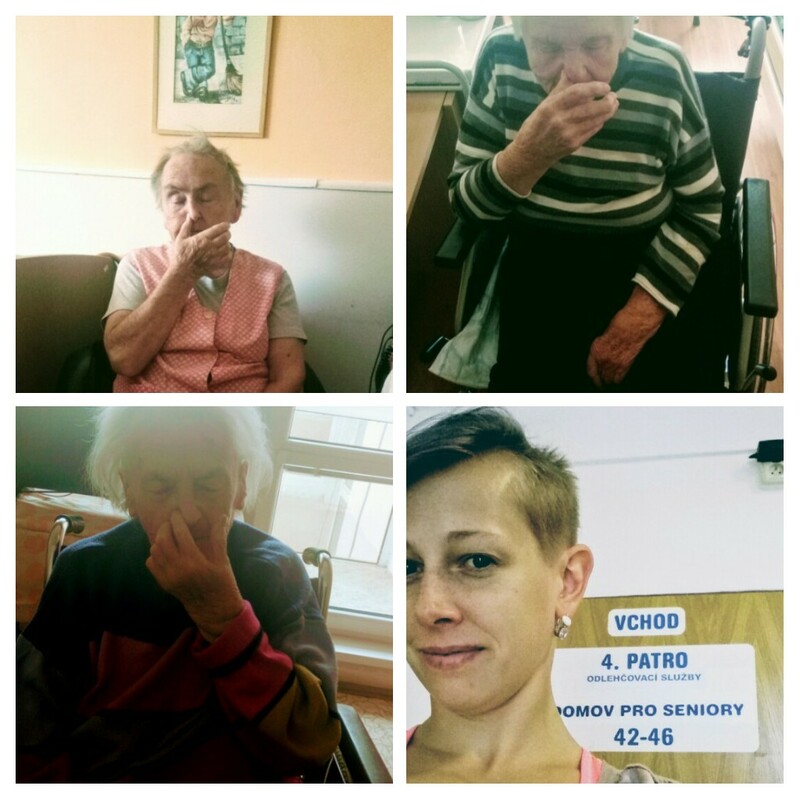 Older people can give us so much valuable experience. 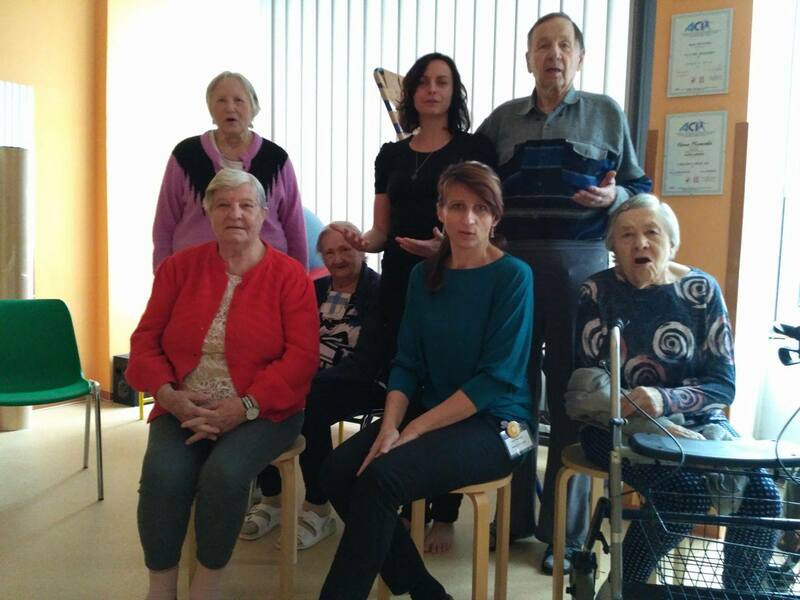 Let’s help them retain their vitality and ability to share their joyful thoughts. 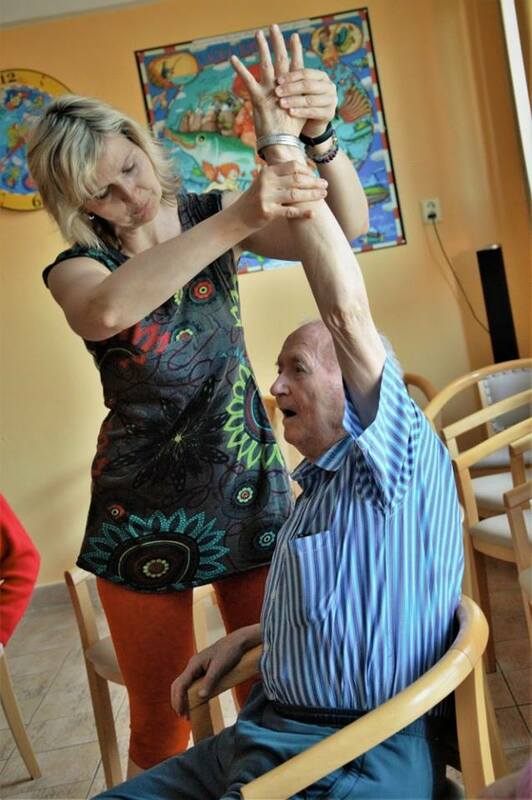 One day, when they leave their body, they will have a smile on their faces showing that they enjoyed their time here. 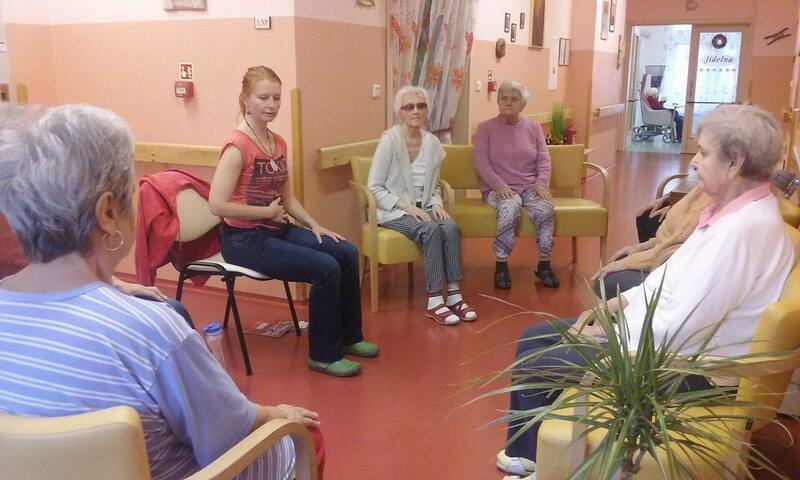 Over 710 elderly people all over the Czech Republic regularly exercise with us every week. We continue to arrange more. 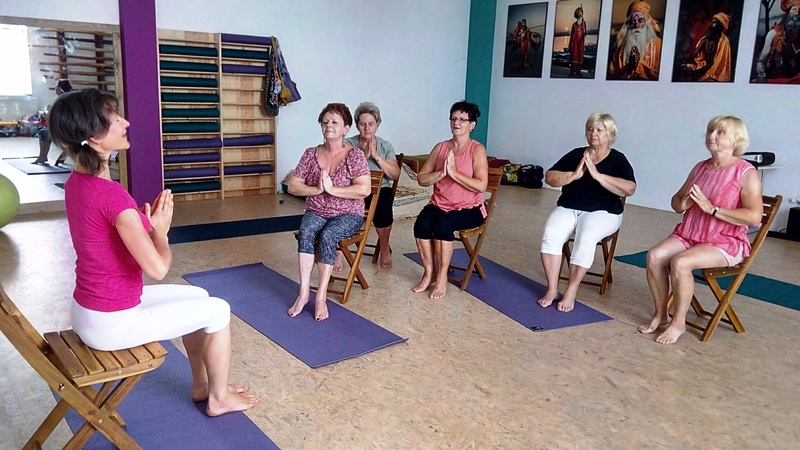 The yoga is practiced either in the homes for the elderly that the instructor visits, or we also support yoga at yoga centres for active older people who travel to their yoga classes themselves.